My glass is half full. But can I drink the water? So much contemporary fiction these days, especially the stuff for kids and YAs, is dystopian — people trying to survive in a post-apocalyptic world in which electricity and information technology have disappeared. I think that’s because we all know deep down that we are relying on this stuff too much. That’s been brought home to me over the past couple of weeks here in China. A hundred times away I reach for my phone or pull up Google on my laptop … and am stymied in some way (FYI, Google, Facebook, YouTube, and lots of innocuous websites are all blocked here. You need a VPN to get access to them and that is far from reliable. And the powers-that-be are supposedly just randomly choking the life out of people’s bandwidth too). Under certain circumstances that can be a relief, a way of getting off the maddening treadmill of emails and texts, and I am all for it — when it is self-imposed. But it can be a real drag when you are lost in a hou-tong (a labyrinthine Beijing neighborhood of twisting lanes and dead ends), Google maps is blocked, and have no way to ask anyone for directions because you can barely say ‘hi’ in Chinese. And it actually becomes a little scary when you spend two hours sitting on a United plane on a Beijing runway only to be told that your flight has been cancelled and you need to get off the plane, get your bags and find yourself a new flight. Which is what happened to me last night. The flight attendant muttered a phone number over the PA which I scrambled to write down — but my phone (not really working here to make calls, get texts or get data — thanks, Verizon) only reached some incomprehensible Chinese message. Eventually another passenger helped me connect but the only flight I could get on would be in forty eight hours, i.e. tomorrow. I made my way to a hotel, tried to make some calls to get an earlier flight, reached lots of dead ends and people who don’t speak any English, and then finally resolved to just chill out here, a dozen thousand miles from home and twenty miles from anything but the airport. I left my phone charger in my other hotel, the wifi is spotty (in fact, I’m not sure if I’ll be able to upload this post), a volcano blew up in Japan, there are demonstrations in Hong Kong, a madman apparently burnt down the control tower in Chicago, and my throat is raw from two weeks of Beijing smog. However, I have a bagful of pens, ten blank pages left in my journal, a really good breakfast buffet, the Discovery Channel, a decent charge on this laptop and there are no zombies or vampires or nuclear plumes out my hotel window. That sounds like a really stressful situation. I hope you experience no more hiccups. well, we’re all pulling for ya ! Since I will be on a trip starting next week I am EAGERLY awaiting your class. Unfortunately the rest of the classes will have to be done when I return. I will then be learning how I should have done it. Oh well, I will be well prepared for any future trips. A tower did NOT burn down in Chicago, but it did mess up everything for a few days. It is very scary to not be able to communicate in the way you are used to. I could never do that without totally freaking out. But I am so impressed by people who keep their wits about them and just deal. Props, yo! Sometimes it seems like the whole world and your part in it is falling apart. That’s a really good time to draw. (Or run if it’s zombies) Safe travels home. 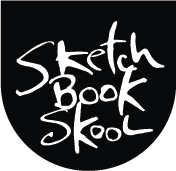 Give thanks because you are a committed sketcher and are prepared! It is really scary to be alone in a country where, not only can’t you speak or understand the language, or read the signs, but the culture, in terms of response, is entirely different. The last bit is from a few bad moments in Thailand. I stopped wandering about totally alone…at least I then had company when lost! Oooooh, an Art & Travel klass!!!! Great!! It’s comforting to know that even if the zombies do show up… at least you’ll have more subject matter to sketch. oh, the blessings of a glass half full when it’s all pens and paper ( and a good meal!). I couldn’t tell how many times I felt blessed for being rescued by a couple of sketchings. Thanks for the trip down memory lane! In China especially, I very quickly learned to just relax bcause everywhere, most people are helpful. After living in China for 15 years, you do get used to most things while others still frustrate. The blocking of art and craft blogs, for instance. There is so much inspiration for creativity here, though!